The summer has ebbed away and the autumn is here. 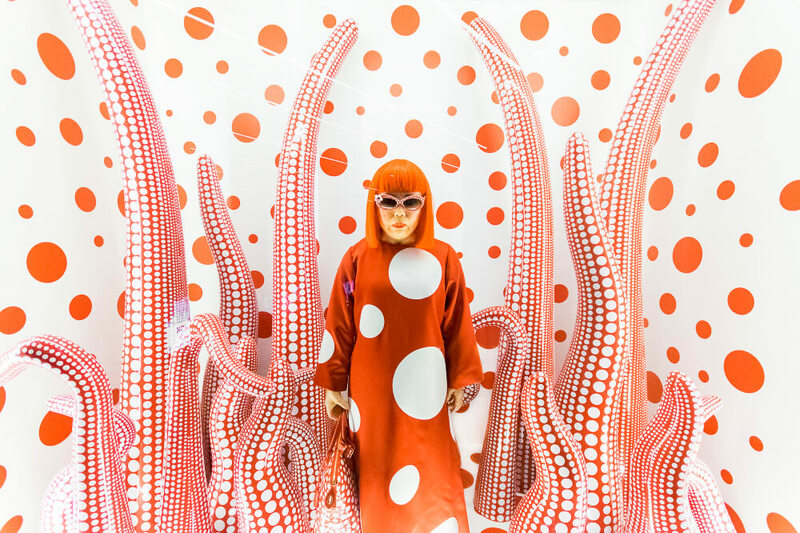 Are you looking for things to do in October around Europe? Let’s have a look at what you can find. 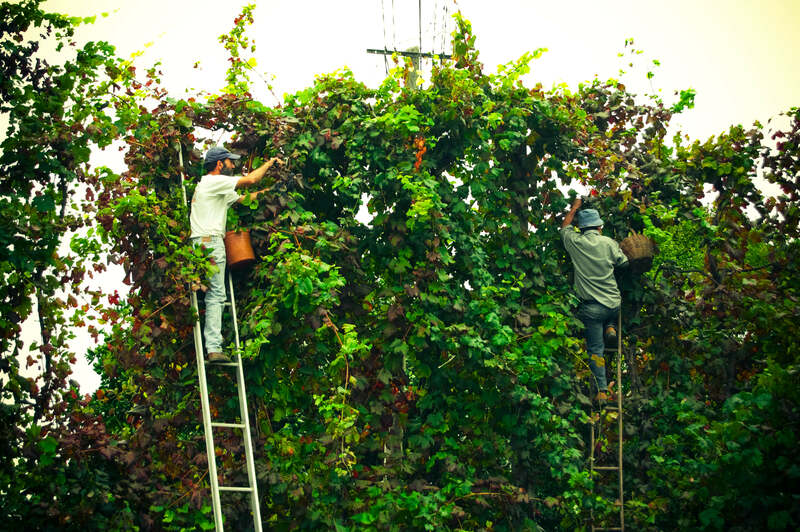 Pico Island and the Douro Valley—protected by UNESCO—provide the finest grapes for making a delicious wine that uses techniques dating back to the Roman Empire. Since autumn is when the grapes are gathered, October is an excellent time to visit. You can enjoy visiting lots of beautiful villages with cobbled streets and white houses and indulge in a visit to a winery or two of course. A wine you don’t want to miss out on is the vinho verde (green wine) typical from the Minho area. This festival in the capital of Ukraine features local cheese and wine. Is there a better combination? If you want to see it come between October 21st and 23rd. This is the main gastronomic event in Lviv during October and offers a great chance to visit this beautiful city and the rest of Ukraine, which has some fabulous undiscovered gems such as Chernivtsi, with it’s World Heritage site University buildings. 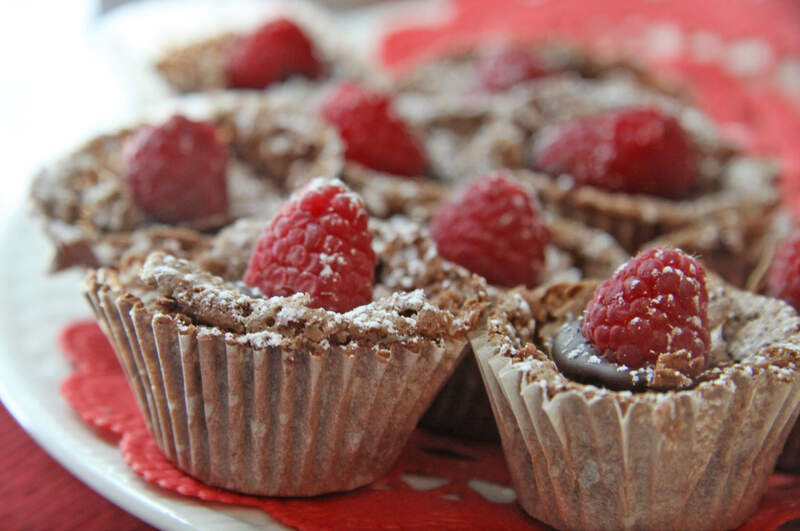 After cheese and wine, chocolate must be the next. This chocolate festival takes place from October 14th to 23rd in the capital of the Umbria region of Italy. You can enjoy art displays made out of chocolate and workshops where you can learn from some of the best chocolate artisans. Take the opportunity to marvel at the fortified walls and stroll around the medieval streets and visit the Palazzo dei Priori or the and Cattedrale Di San Lorenzo and many more historic sites. 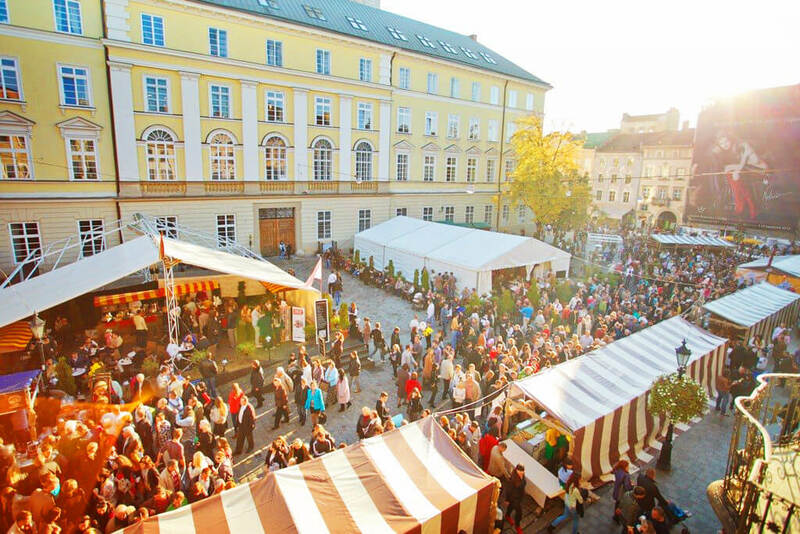 Or perhaps take a look around the festivals in Budapest during the month of October and November. Whether you are looking for a family event or things to do with your friends, this annual Halloween festival in the heart of Copenhagen is definitely worth visiting! Experience the pumpkin season from October 14 until November 6 in the world’s second oldest amusement park, Tivoli Gardens. You will witness 20,000 pumpkins, 2,000 bales of straw and 5,000 plants along with thousands of lights, water, smoke, fire and lasers across the Tivoli Lake. Don’t forget to take a crazy ride with a witch on a rollercoaster and see the season’s biggest pumpkin. If Halloween is your favourite holiday, this event will be a dream come true! And there are 5 Unforgettable Halloween Destinations in UK and Ireland you might also enjoy visiting. Is this an event? Well, you don’t have to pay for tickets but it’s a once in a lifetime experience. 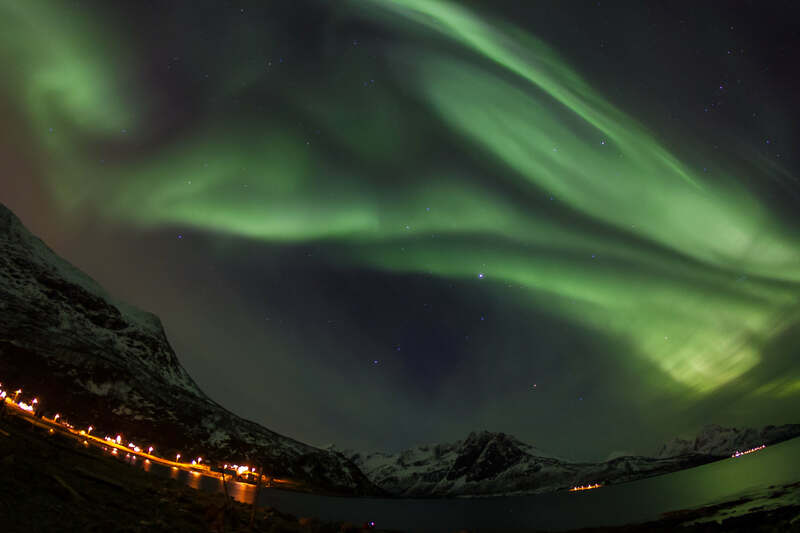 One of the best spots to observe this concert of colours is the Lofoten Islands in Norway. Although there are no guaranteed dates for the event, October is a great month to experience it. If you want to feed your mind, this is certainly the perfect event. 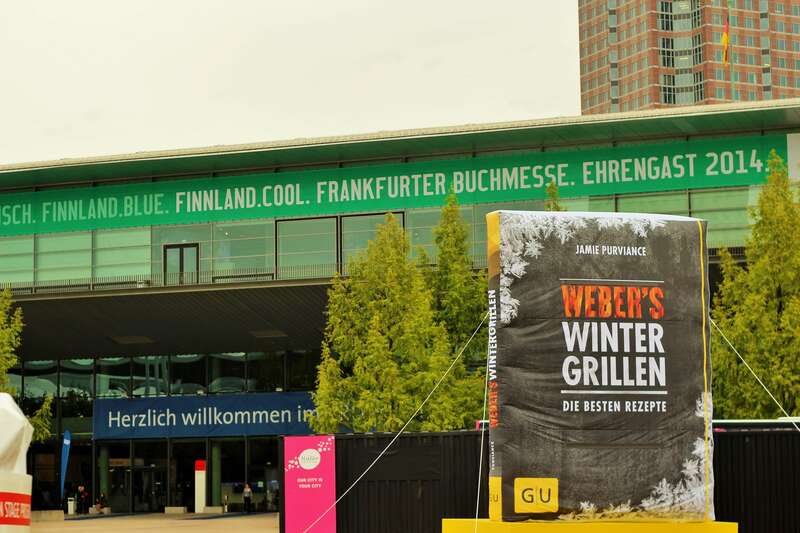 From October 19th to 23rd this fair features books, authors and publishers from all around the world. A great hub for new opportunities and for discovering new authors. Topics this year include: Antiques, Arts & design, Asia, Education, Gourmet gallery, Kids, Science, international dialogue & a global reading section, dedicated to Europe this year. 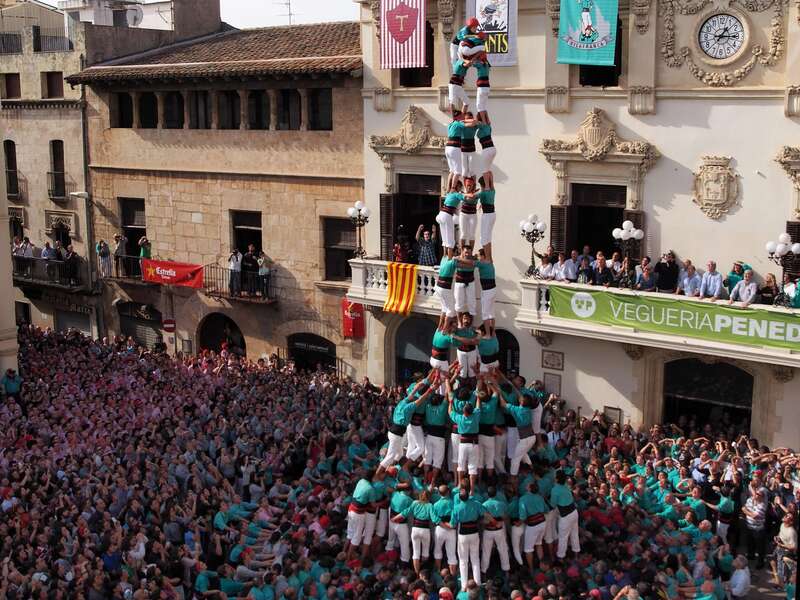 These human castells (castles) are literally made up of people standing one on top of the other to make a human tower! All ages take part, with the youngest, ranging from 5 and 10 years old, whose job it is to clamber all the way to the top and stand with arms stretched high to finish this human display with style and courage. Even watching these towers dismantle is a site to behold, while each participant carefully climbs down whilst retaining their balance. It just shows what can be accomplished when everybody works together. Not quite the aroma of perfume, but this is a Nordic speciality! This market is dedicated to herring and you can taste a variety of delicacies made with this local fish. Traditionally it is salted, or marinated with peppers, with rowan berries, and more. This Market has been established since 1743. Here you can witness the past meeting the present with this humble fish joining the two. 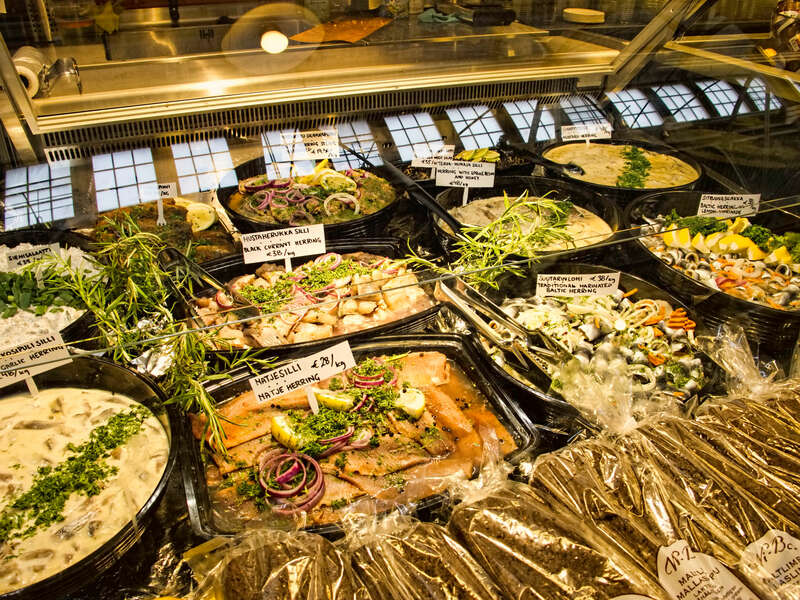 Check this list of Top 10 Local Foods to Try in Finland to know what’s worth trying. This festival in Bergen, Norway, brings together intrepid artists that boldly impress their audiences. You can find performances, workshops, studios, visual imagery, theatre, music, and poetry. Which will you opt for? There is no reason why you should not get out in October and enjoy at least one of these events. Remember to plan you trip and don’t travel without adequate insurance. Chose one of Globelink travel insurance policies to enjoy your October getaway with peace of mind.